In a San Diego divorce, paternity or legal separation there are a number of different custody arrangements which can be proscribed for the family by the court. Here is a rundown of some of the various child custody arrangements which San Diego Judge's may order. Of course, all cases are unique and the Judge has discretion within accord of the law to make child custody orders. Primary physical custody awards the right to one or the other parent to have the child live with them more than the other parent. In San Diego, again, the Judge has discretion but cannot make orders based on gender and some other factors. The San Diego Judge can award joint custody which means each parent gets the child to spend time with them. This is a preferred arrangement when the two divorcing parents live comparatively close to each other and is in accord with the Family Law Code which is followed in San Diego. Joint custody may impose much less strain on a child and permits the child to live as much a normal routine as possible while still, of course, not spending 100% of the time with each parent as children do when parents live together. In a joint physical custody order, the child would spend 50% of the time with each parent. Legal custody is the right of a parent to be able to make important decisions about the upbringing of the child such as schooling, medical care, religion, and so forth. In San Diego, a common award is joint legal custody which empowers both parents to make joint decisions relative to the child equally. If a parent makes a decision unilaterally without consultation in a joint legal custody situation, the aggrieved parent could ask the court to enforce the joint custody arrangement. If joint legal custody is not workable, such as if one parent consistently refuses to communicate with the other on important decisions, the court can be approached to award sole legal custody. Many states prefer joint legal custody so in such cases you will have to make a convincing case to demonstrate why this is not working to the child's best interest. Sole legal custody is not the "norm" in San Diego in 2012. Sole custody can be awarded for many factors. One factor is when one parent is deemed unfit by the court to care for the child. This happens in cases where this parent is liable to abuse or neglect the child, or else suffers from addiction to either drugs or alcohol, or lives with a new partner whom the court considers unfit to care for the child who may have criminal convictions or expose the child to danger. In addition, in San Diego specifically as a military city, it is not uncommon for a Judge to award sole legal custody when a military member is on deployment since the remaining parent may not be able to contact the deployed parent in an emergency or for other decision making purposes. There are other factual circumstances, such as a parent being in custody. In such cases the other parent is awarded sole physical custody. However, Courts in San Diego are hesitant to award sole custody awards and are awarding a larger role to both parents in the upbringing of their child. Even where one parent is granted sole physical custody, both parents may still share legal custody jointly with the non-custodial parent being awarded generous visitation rights. In situations like these, the child may be in the sole physical custody of one parent but both would make decisions jointly about its upbringing and would have visitation rights. The Judges in San Diego respect rights of both parents. In cases of joint custody, both parents work out a mutually feasible schedule contingent on factors like the child's needs, housing arrangements, and work requirements. If the parents are unable to arrive at a workable solution then the court will decide on a schedule. Of course, it is always best to try and reach an agreement since you and the other parent know what is in your child's best interests and also your own best interests and the Judge will not know either one of you personally nor your child so may make an order which has disadvantages for both parents. As such, an agreement is preferable. Many parents work out their agreements on a parenting plan in the mandatory mediation with the mediators in San Diego Courts. Attorneys from this family law firm of San Diego are well-versed in all aspects of family law including representing parents for child custody and making custody arrangements. Should you like to discuss your situation you could avail of a free 30-minute initial consultation. 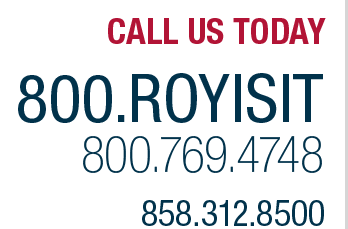 Roy M. Doppelt has been practicing for over two decades and has provided his clients with personal legal services trying to exceeding expectations. The firm practices in divorce, as well as nullity, legal separations, and paternity issues in San Diego County. It also appears in cases relating to child custody, child support, child visitation, spousal support and alimony, amongst other areas of family law.